CBD Oil Review rates the Kiva Confections Brand with three stars because it qualifies for the Quality, Mission & Innovation Badges. 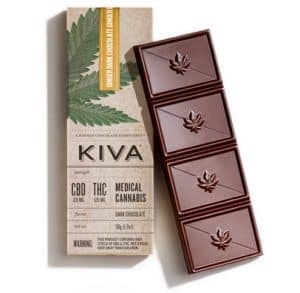 Anyone who’s visited a medical cannabis dispensary in California has come across Kiva’s artisan cannabis-infused chocolate bars. They’ve garnered multiple awards for their attention to detail and quality control, and rightly so. This dedication at each step of the process is what differentiates a good vendor from a great one. The only nuance is the lack of published Certificates of Analysis, but these are available upon request (as they do perform extensive tests). As such, Kiva is really more of a 3.5 as opposed to a 3. Decorated with numerous awards, including Best Edible at both the San Francisco and LA High Times Cups, Kiva takes the time to do things right. Although they claim to perform multiple stages of laboratory testing, we were unable to locate any Certificates of Analysis to prove this assertion (though we do not doubt it is true – they offer plenty of corroborating evidence and offers to send said CoAs to any interested parties). 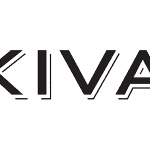 The Kiva Confections hemp plants grow alongside fruit groves and orchards where their natural symbiosis between plants and insects helps to promote cannabis that is full of vitality and has high immunity to disease. This natural synergy between various forms of life is commonly known in the agricultural industry as biodynamics, and is perhaps the best way to rejuvenate our ecosystem and practice real sustainability – and it produces hardy, bountiful agriculture to boot. In addition to their award-winning chocolate bars, Kiva crafts CBD/THC gummies with fantastic ingredients that are all natural and tasty (some are organic!). 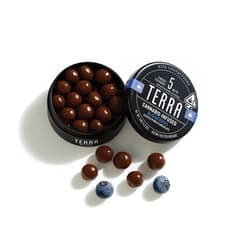 Rounding out the line of delicious delights are THC mints and THC ‘bites’, blueberries and espresso beans coated in chocolate. We’re hungry already. 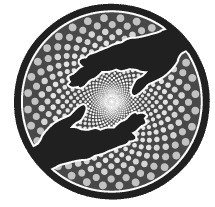 Unfortunately, Kiva’s products are not available for purchase online, although the handy ‘find us’ feature shows all the locations on a map where one will find their potent CBD/THC creations in select states with medical cannabis laws. But if one is lucky enough to have access to Kiva’s cannabis chocolate and confections, there are few other options for more excellent tasting, quality, potent medicinals. Bottom Line – We love the heart and soul that goes into each of Kiva Confections’ edibles. We wish they would make a product with strictly CBD so everyone across the country can enjoy their treats! Kiva Confections uses biodynamic cannabis grown in the Emerald Triangle by farmers with years of experience cultivating CBD-rich strains. Kiva Confections is on a mission to create edibles that redefine cannabis confections. Kiva Confections grows their cannabis in as close to a biodynamic setup as we have seen thus far.